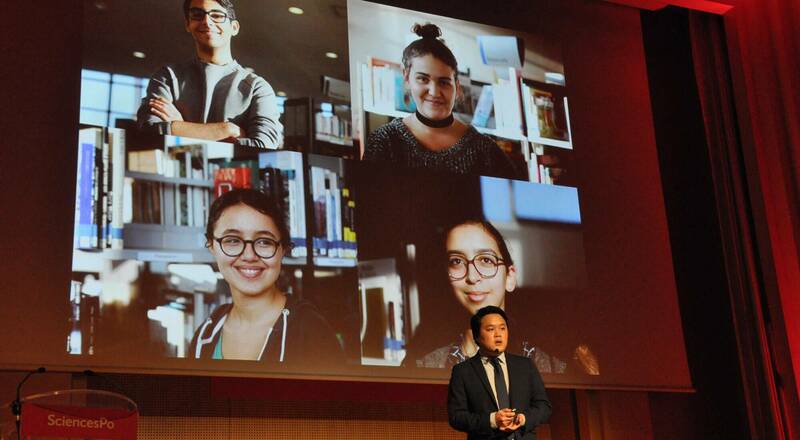 On Tuesday December 13th, Sciences Po celebrated the 15th anniversary of its Conventions éducation prioritaire (CEP), a unique initiative supported by LVMH. Chantal Gaemperle, Group Executive Vice President Human Resources and Synergies, is the sponsor of students entering the Institute of Political Studies in 2016. 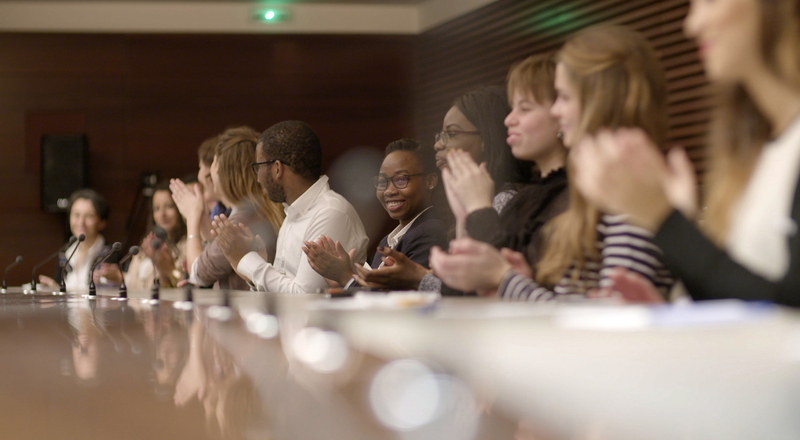 For the past five years, the LVMH group has supported the Priority Education Conventions, a first-of-its-kind program established by Sciences Po Paris to enable high school students from priority education areas to gain access to the prestigious institution. At an evening event celebrating equal opportunity, alumni and current students of the CEP program as well as the Principal of a highschool attached to CEP were invited to present their career paths and to share their anecdotes and memories of the program. Meticulously prepared, these presentations brought a fresh and groundbreaking perspective to this original initiative. Presented in an innovative alternating format, these short testimonies were complemented by contributions from Najat Vallaud-Belkacem (Minister of Education, Higher Education and Research), Valérie Pécresse (President of the Île-de-France Region) and Frédéric Mion (Director of Sciences Po Paris). This unifying event to celebrate the 15th anniversary of the CEP program also marked the renewal of the partnership between the LVMH group and Sciences Po.